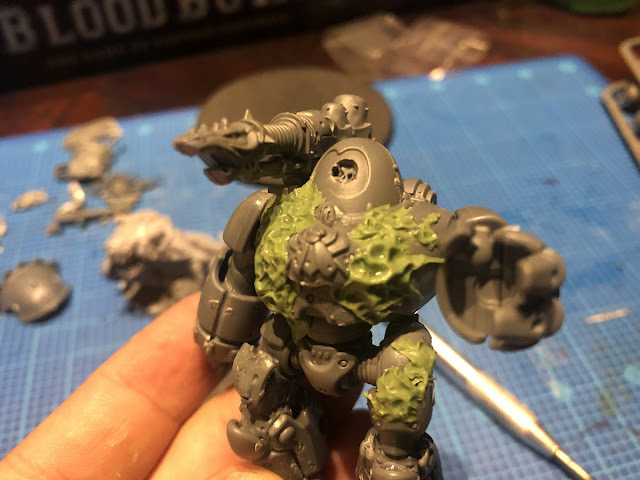 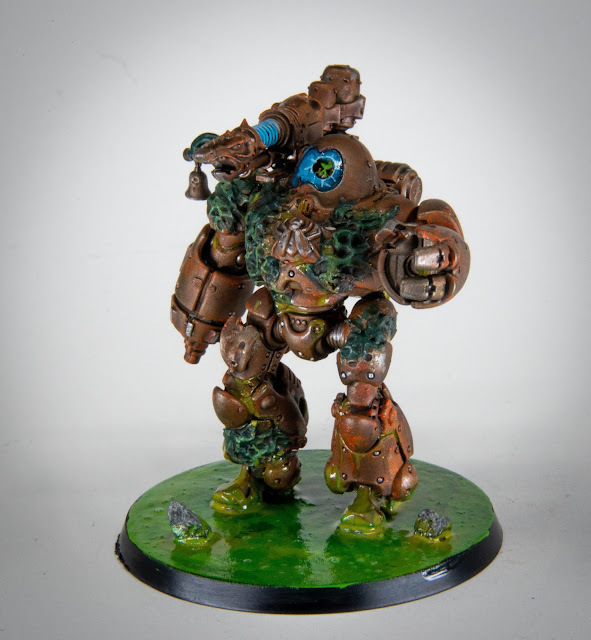 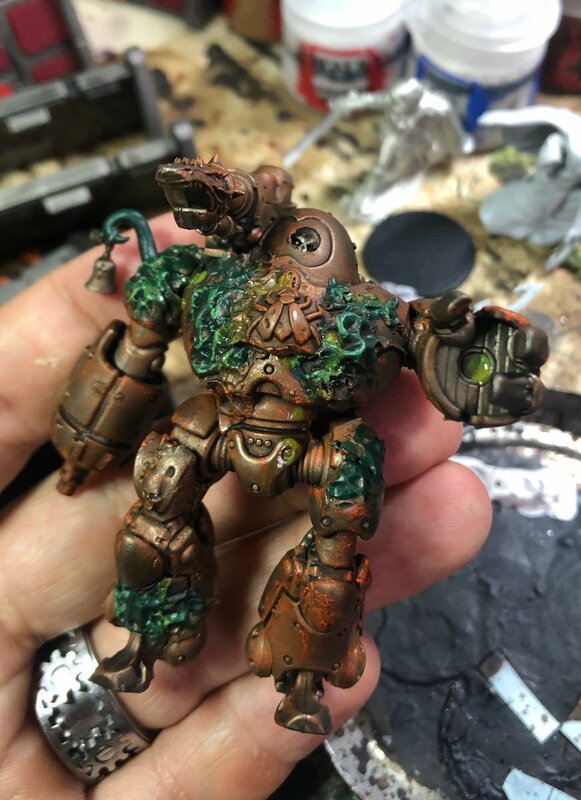 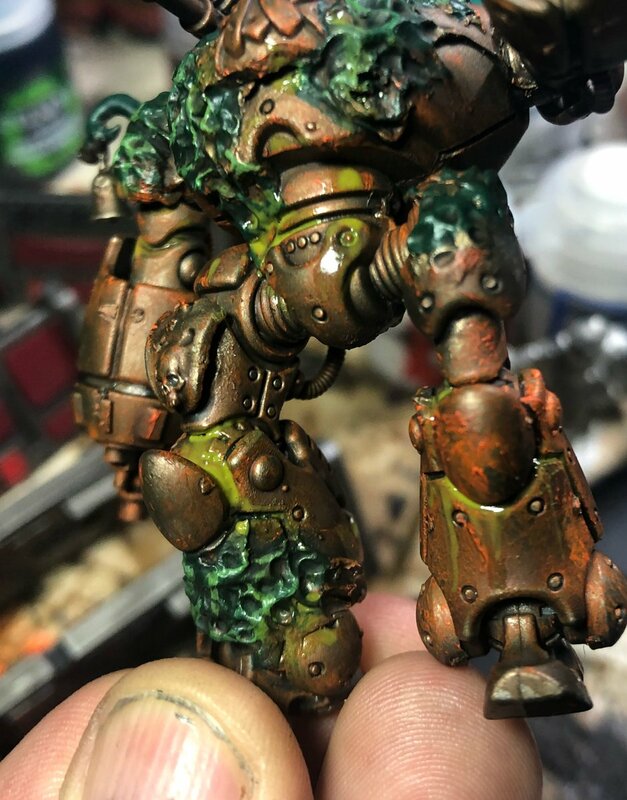 The latest additions to the corrupted Ad Mech project came off the painting table last weekend as a pair of Kastelan Robots got the Nurgle treatment! 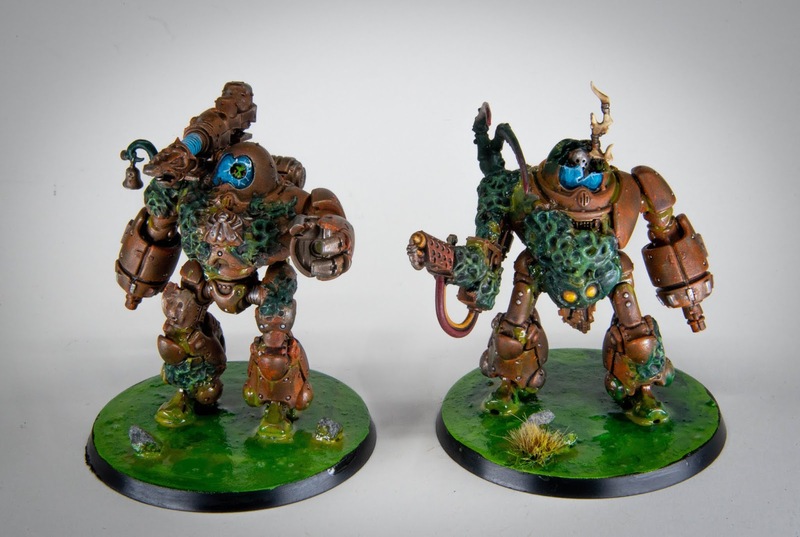 These two were a lot of fun to convert and paint! 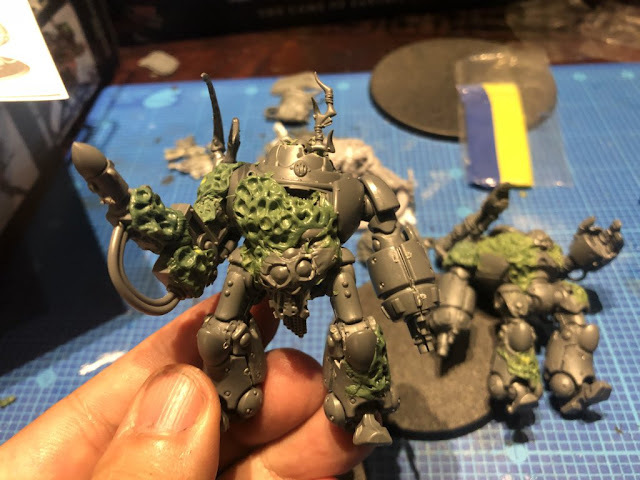 There was a lot of green stiff involved in these ones! 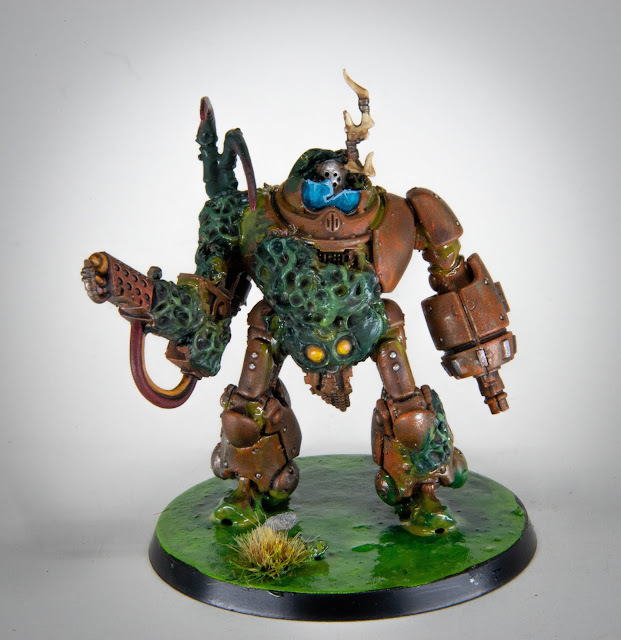 Then I went about rusting up the robots, before adding the organic elements and the obligatory slime! Then the bases needed to match! 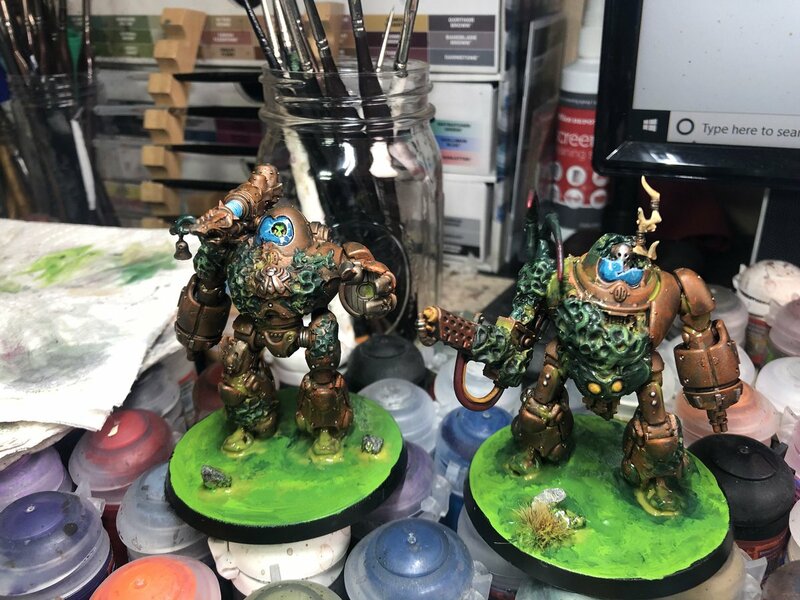 These two came out well. It will be a few weeks before I get to do some more due to the impending trip to Europe, but these were a good note to pause the project on!